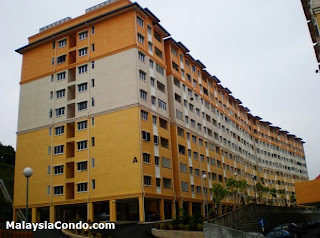 Puncak Baiduri Apartment is a freehold apartment located at Cheras, Selangor. Puncak Baiduri consists of two 10-storey apartment and has a total of 477 units. The built-up area ranging from 850 sq.ft. to 980 sq.ft., each has three bedrooms and two bathrooms. Built-up Area : 850 sq.ft. - 980 sq.ft.